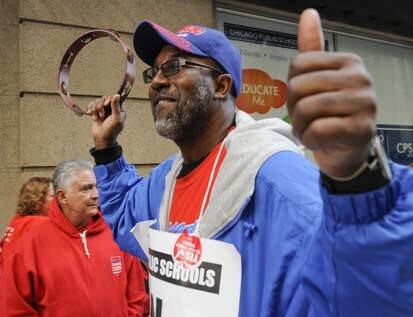 The Sun-Times reports that the teachers' strike is over. While public schools are open tomorrow and classes resume, "delegate Mike Bochner said 'an overwhelming majority' of delegates voted to suspend the strike." Interestingly, the union has reportedly based their decision on a review of a summary of the deal, not the deal itself. Check back here for more writing on the aftermath of the strike, the details of the deal, and other writing about education. And a sigh of relief that the strike seems to be over and kids can return to school.